COAR Open House Weekend is June 2-3, 2018! COAR's Open House Weekend is coming back this June 2 -3! Search hundreds of Open Houses in Deschutes, Jefferson and Crook Counties for the weekend. You can search for open houses based on your own preferences, by clicking here and visit them on your own or a REALTOR. 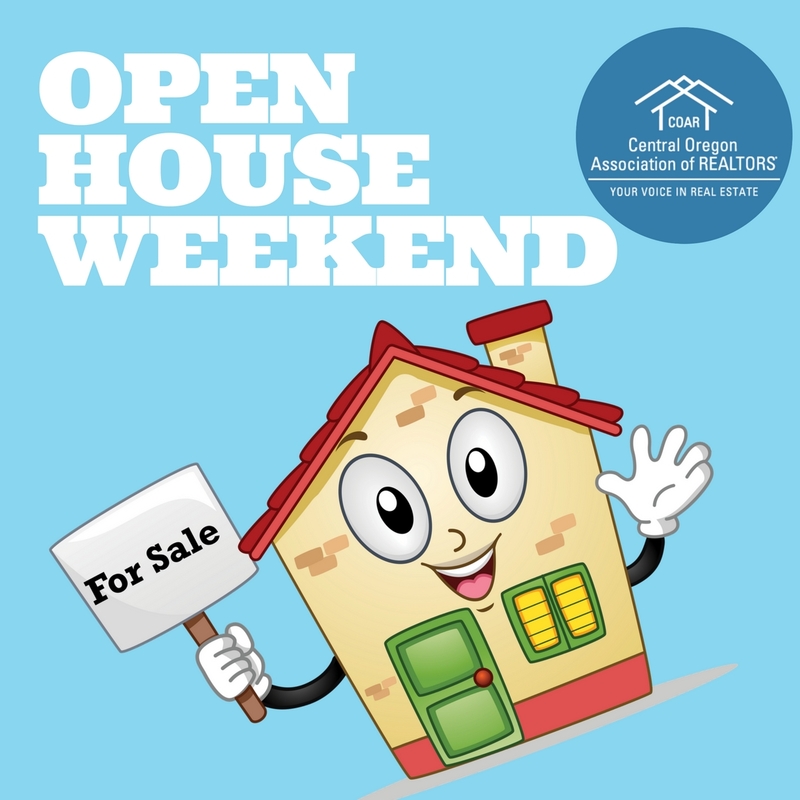 Want your home to be listed for Open House weekend? Contact a local REALTOR by searching here to list your property and put it on Open House for the weekend. Your open house will be listed on over 1,000 websites including Zillow, Bendhomes.com and Realtor.com.